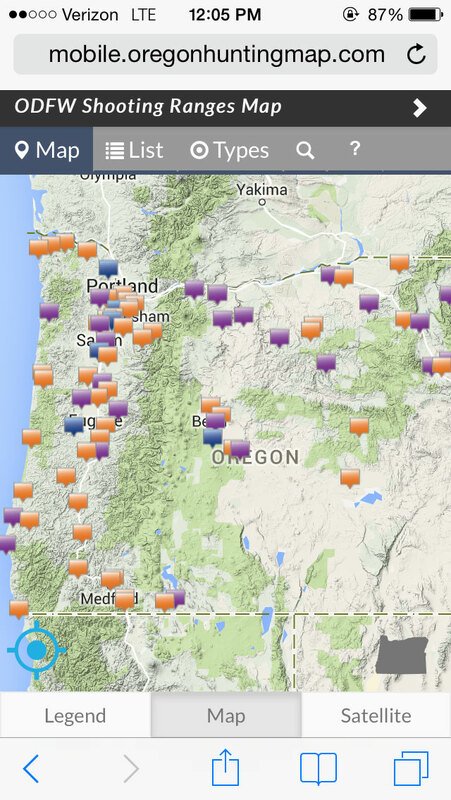 Oregon has more than 75 ranges where you can improve your shooting and archery skills. Find them at Oregonhuntingmap.com (select Shooting Ranges). Some require a membership; check the range’s website. Many of these ranges offer site-in services for rifles just before the fall hunting season. The Oregon Association of Shooting Ranges also has a list of ranges in their organization. New State Requirement: Please fill out the Racial and Ethnic Impact Statement and return with application. Funds are available through the Oregon Department of Fish and Wildlife for the construction, development and improvement of non-profit shooting ranges and associated facilities. The grant funding program is managed by the Information and Education Division’s Education Services Section in conjunction with the Shooting Range Development Advisory Committee. Questions about administration of the Shooting Range Grant Program may be addressed to Brandon.d.harper@state.or.us or contact Brandon Harper @ 503-947-6079. The Oregon Department of Fish and Wildlife and the U.S. Fish and Wildlife Service from 2014-2016 have been involved in Environmental Assessment for the proposed construction of a public small arms range and training facility in unincorporated Coos County, near Coquille, Oregon. More info.